Winner of the National Book Critics Circle Award for Fiction and a finalist for the National Book Award! 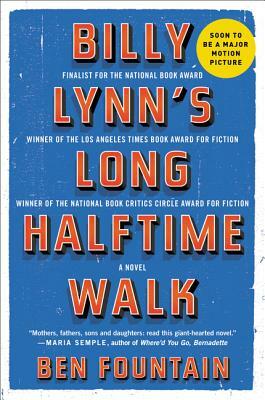 From the PEN/Hemingway Award-winning author of the critically acclaimed short story collection, Brief Encounters with Che Guevara, comes Billy Lynn's Long Halftime Walk ("The Catch-22 of the Iraq War" —Karl Marlantes). A razor-sharp satire set in Texas during America's war in Iraq, it explores the gaping national disconnect between the war at home and the war abroad. Ben Fountain’s remarkable debut novel follows the surviving members of the heroic Bravo Squad through one exhausting stop in their media-intensive "Victory Tour" at Texas Stadium, football mecca of the Dallas Cowboys, their fans, promoters, and cheerleaders.